S5 Shopper Frenzy - one of the best templates for your online store is running Joomla 1.5. S5 Shopper Frenzy ideal template for creating an online store. The template is a variety of functions, extensions, module positions and styles that you can say with confidence - this pattern will suit you as a template for an online store or a simple site! 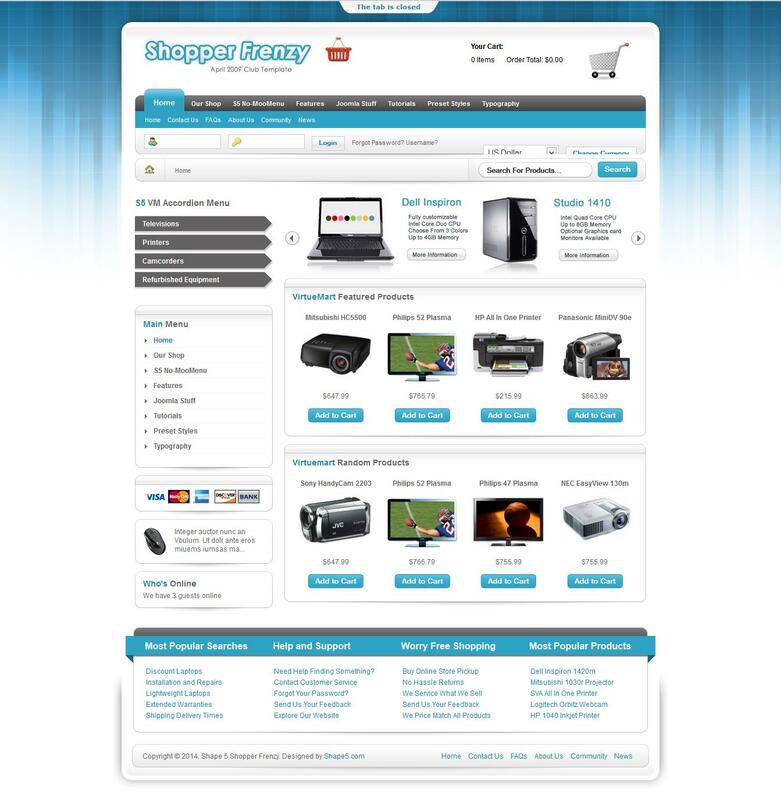 S5 Shopper Frenzy is very flexible to configure, has a nice design and is supported by Joomla 1.5.